It's because of you that I am on this journey, thank you. Hailing from The Hawkeye State, Katy made a name for herself while attending Wapsie Valley Jr./Sr. High School, where she took state titles in cross country and the 3000 meters her senior year. Staying in state lines, Katy then transitioned to Iowa State University, where in addition to working toward a degree in Elementary Education, she was named an All-American on five occasions. Now training with Team USA Minnesota in Minneapolis, Katy looks to continue her success on the pro circuit. Katy's family plays an important role in her success, with two older brothers and two loving parents. Her eldest brother, Josh Moen, is several years removed from professional running, where he had a successful career on the roads, and is a definite inspiration for Katy. Her hard-work has paid off, as she was named one of the RRCA's Roads Scholars. 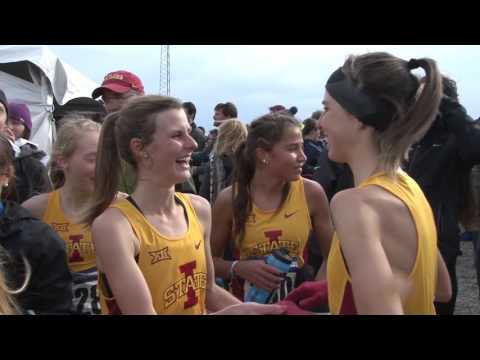 There is no doubt Katy has a passion for the sport, and she says, "The thing I love most about this sport is the connections made with people on and off the track or course. The shared fight, nerves, heartbreaks and celebrations are truly unique to the art of long distance running." As if logging the miles on the track was not enough, Katy is finishing her undergraduate degree in Elementary Education in the Minneapolis area.